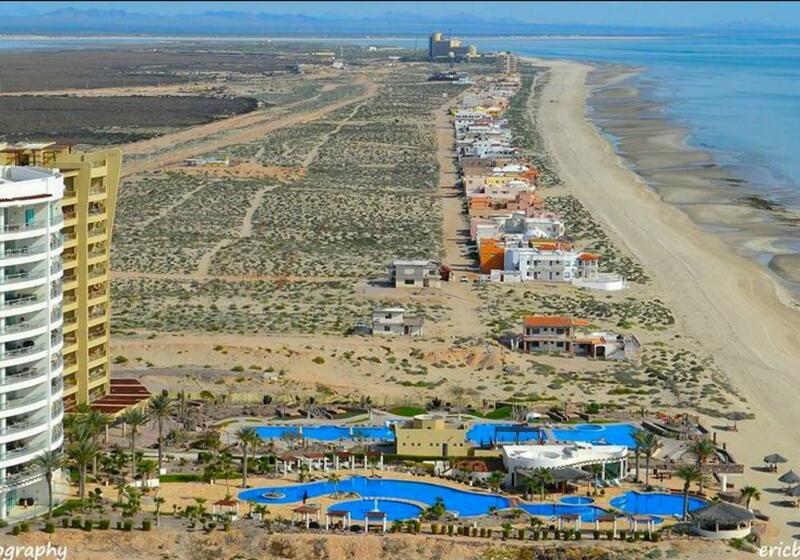 Luxury living on the Sea of Cortez can be yours with this 3 bedroom 4 bath beach front condo. This 7th floor condo has 180 degree views from east to west from the 488 square foot balcony. The home is furnished and well appointed. The kitchen has granite counter tops and stainless steel appliances. The floor plan includes 2 master suites each with access to the balcony. The resort amenities include 4 pools, 2 spas, fitness room, BBQ grills and a tennis court. The resort has 24 hour gated security. Homeowners have special access privileges at the Grand Mayan Resort just 2 miles down the beach including its J. Nicklaus signature golf course. The property has a bank trust with an LLC as beneficiary for low buyer closing costs.